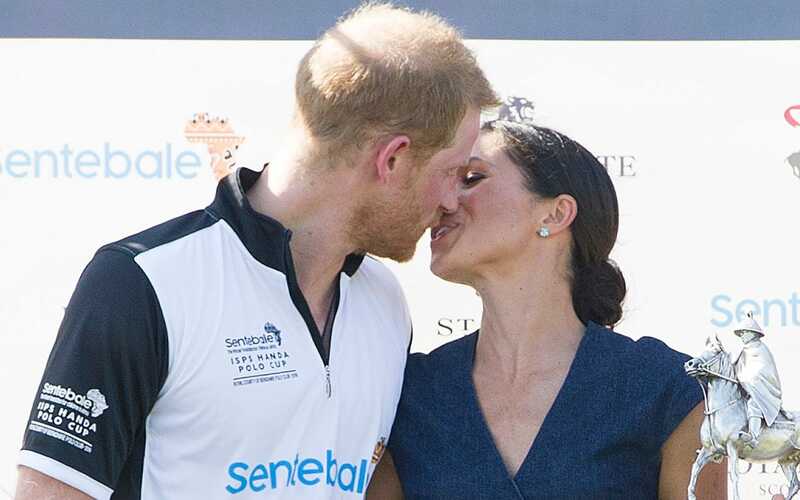 Meghan Duchess of Sussex and Prince Harry Duke of Sussex kiss after posing with the trophy after the Sentebale Polo 2018 held at the Royal County of Berkshire Polo Club in Windsor. 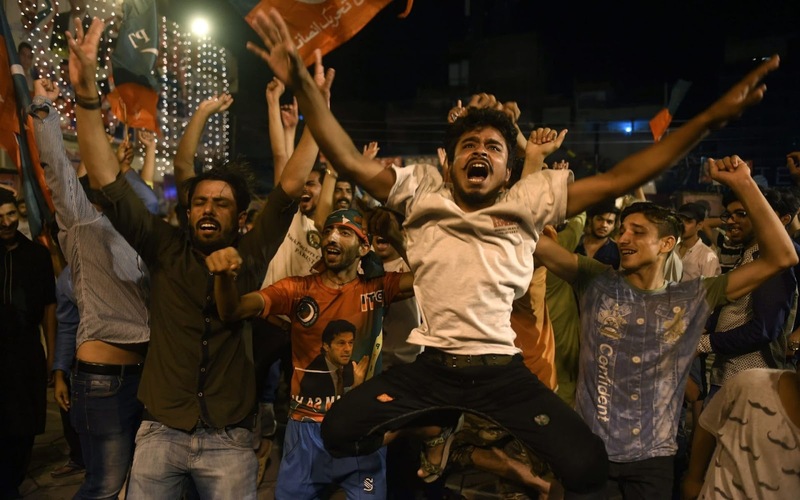 Supporters of Pakistan's cricketer-turned politician Imran Khan, head of the Pakistan Tehreek-e-Insaf (Movement for Justice) party, celebrate during general election in Lahore. 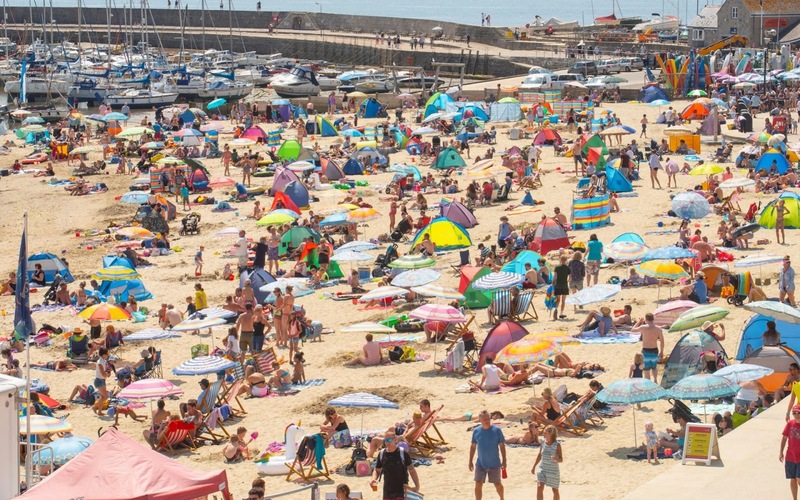 Hot sunshine and blue sky in Lyme Regis, on Britain's hottest day of the year. Artist and activist Emerson Munduruku is pictured as he teaches environmental conservation to children in northern Brazil. Emerson's character requires two hours of preparation and all the materials he uses are collected from nature He's a descendent of the Munduruku indigenous tribe from the Brazilian Amazon and travels to remote communities to teach children about the importance of the environment. 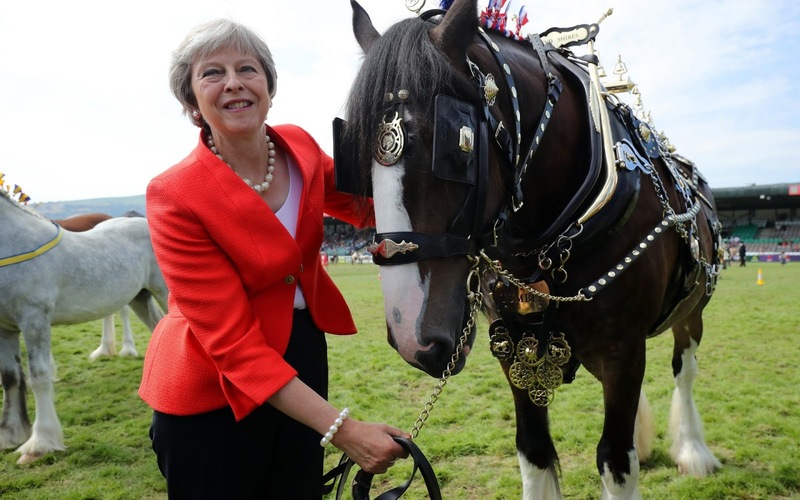 Prime Minister Theresa May poses with a shire horse named Tumble, who won first prize in it's category, during a visit to the Royal Welsh Show in LLanelwedd, Wales. Mrs May has confirmed that the Government is making preparations in case of a no-deal Brexit. 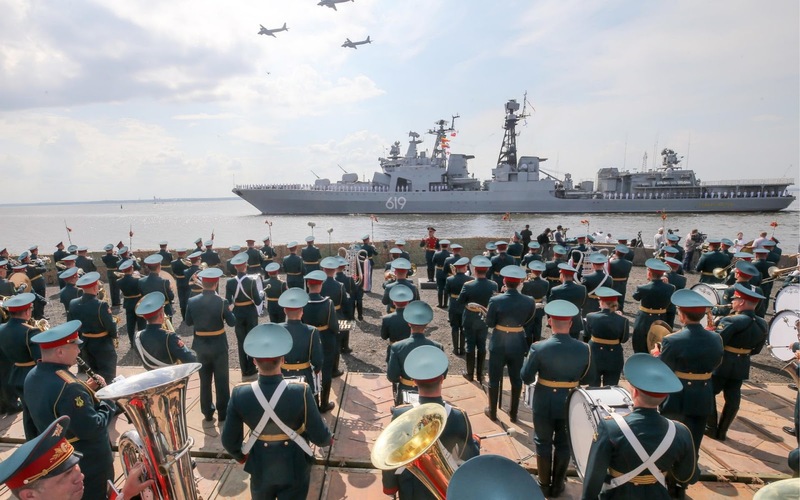 A military band performs as Tupolev Tu-142M anti-submarine warfare aircraft and the Severomorsk large anti-submarine ship take part in the dress rehearsal of a naval parade marking the Day of the Russian Navy. This is the moment a plucky puffin managed to fend off a flock of seagulls which swooped down to try and steal his fish supper. The sea bird was seen desperately making a bid for freedom as the gull gang launched an attack to get hold of his catch. 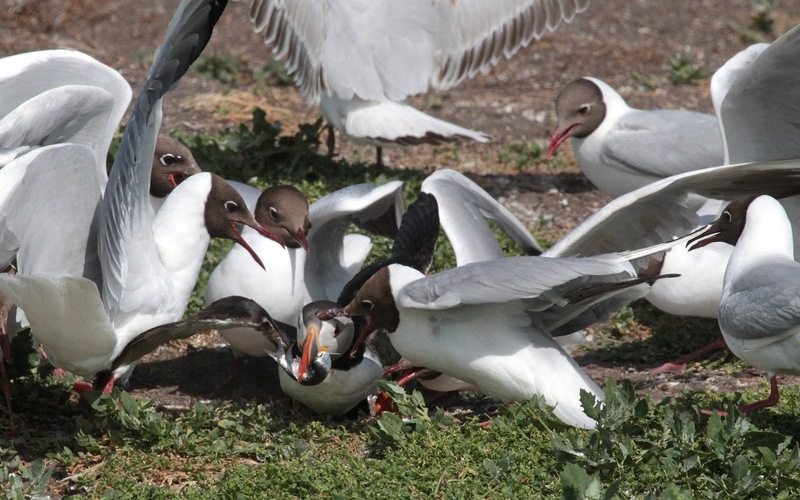 But despite being outnumbered, the puffin emerged triumphant and managed to safely deliver the meal back to his burrow. 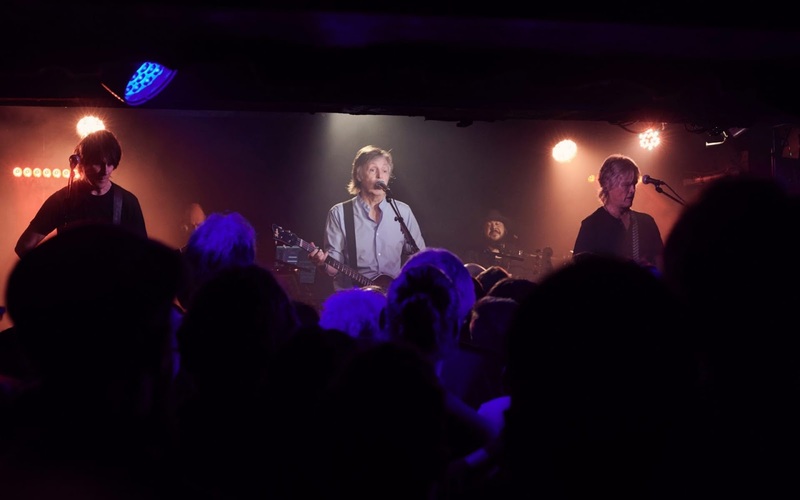 Sir Paul McCartney plays a gig at The Cavern in Liverpool. 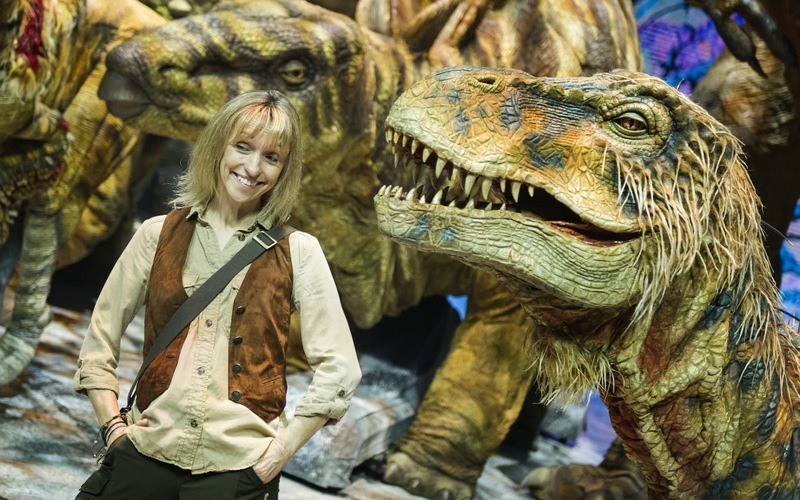 About 270 fans packed into a sweltering room to see the singer, after they were given the opportunity to get free tickets by queuing at the Echo Arena box office on Thursday morning when the gig was announced. 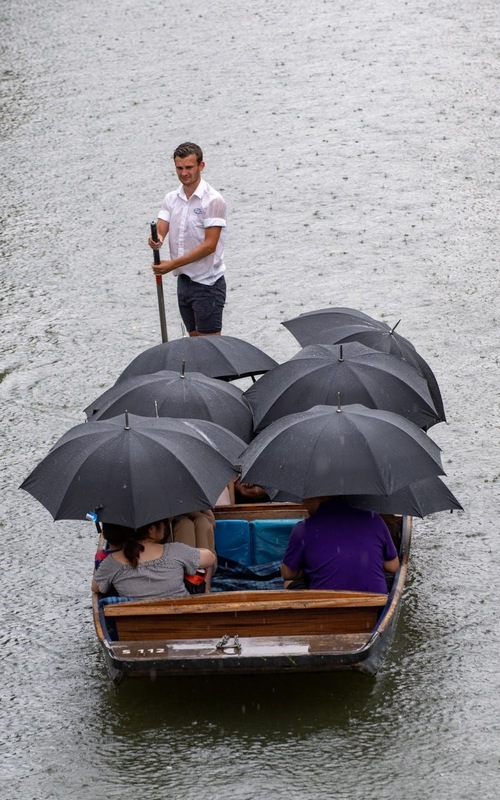 People out punting on the river Cam in Cambridge get caught out in a downpour as the dry spell is broken. 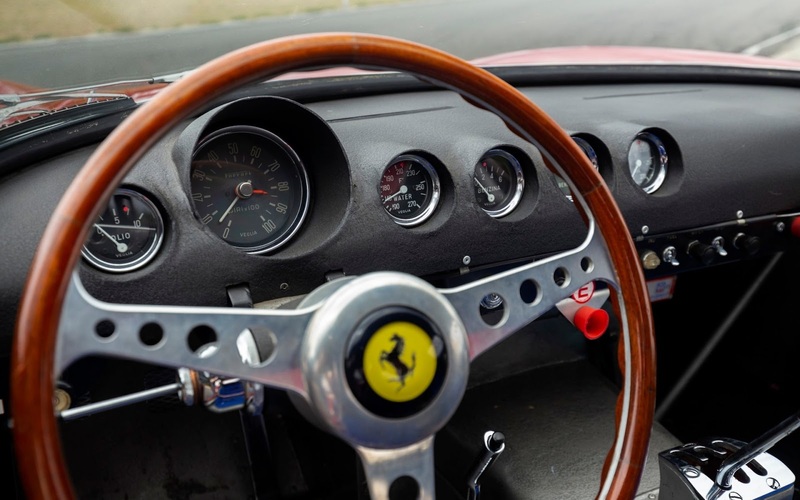 An ultra-rare 1962 Ferrari 250 GTO is estimated to sell for between $45 million and $60 million (£34-45 million) in the RM Sotheby’s Monterey sale on 25th August. Alexandra Darby Miss Black Country 2018 taking part in the Miss Beautiful Mind (general knowledge quiz contest) at the Miss England Finals in Birmingham. 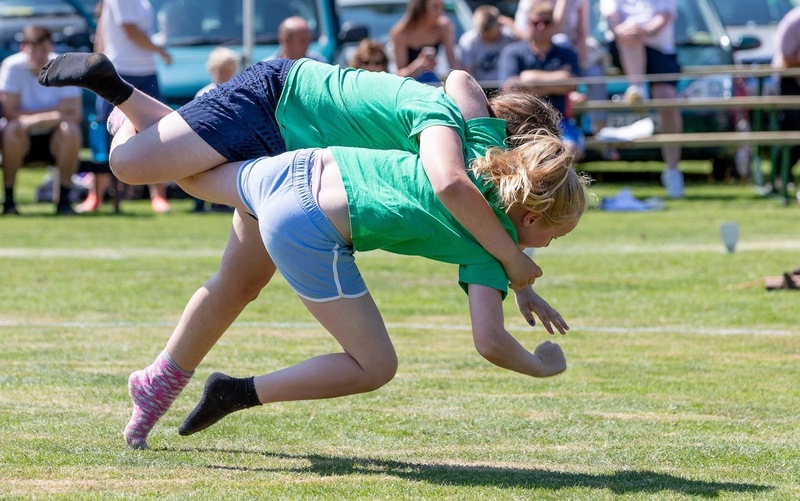 Competitors take part in Cumberland Wrestling, which is an ancient and well-practised tradition in the traditional English counties of Cumberland and Westmorland. 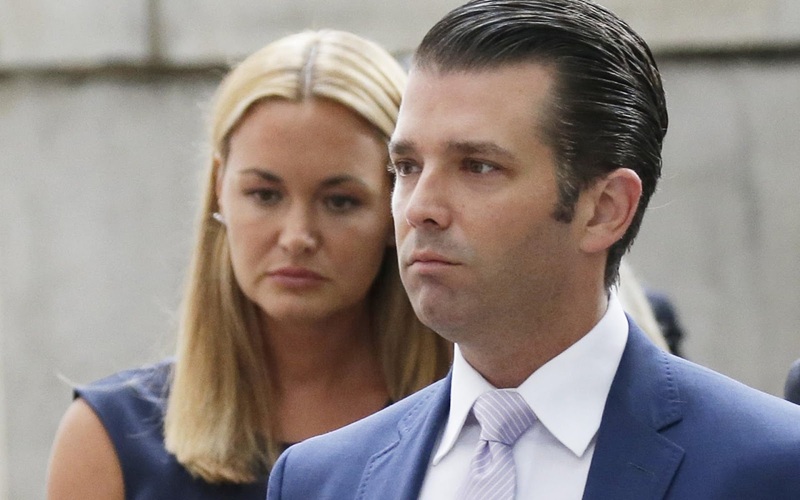 Donald Trump Jr. and his estranged wife Vanessa appeared in court Thursday before a judge in New York City for a hearing in their divorce case. 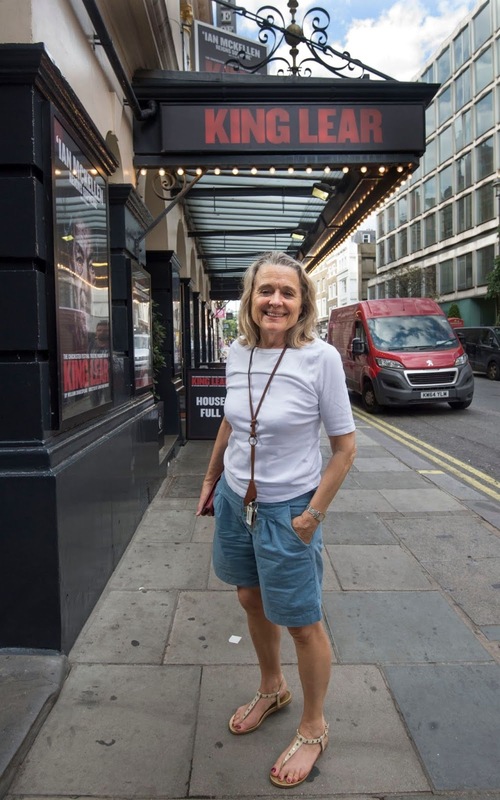 Actress Sinead Cusack arrives at the Duke of York's theatre where she will be appearing alongside Sir Ian McKellan in the press night for the West End transfer of King Lear. 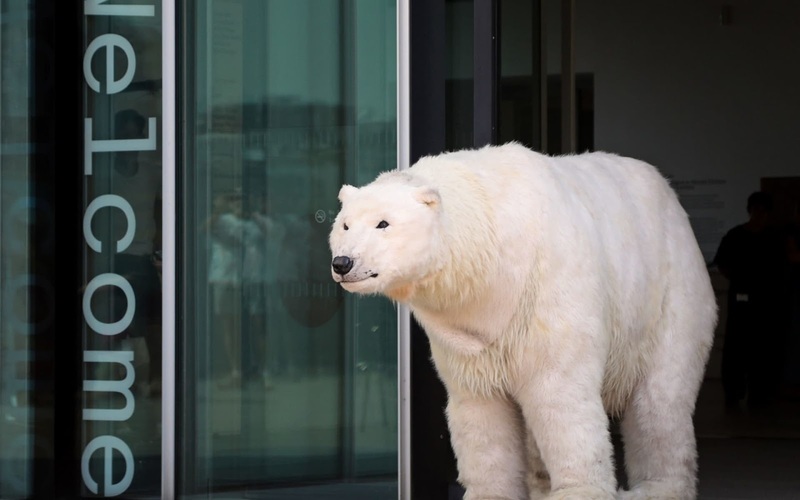 A life-sized polar bear puppet named Paula at the launch the Turner Contemporary summer exhibition Animals and Us, in Margate, Kent. 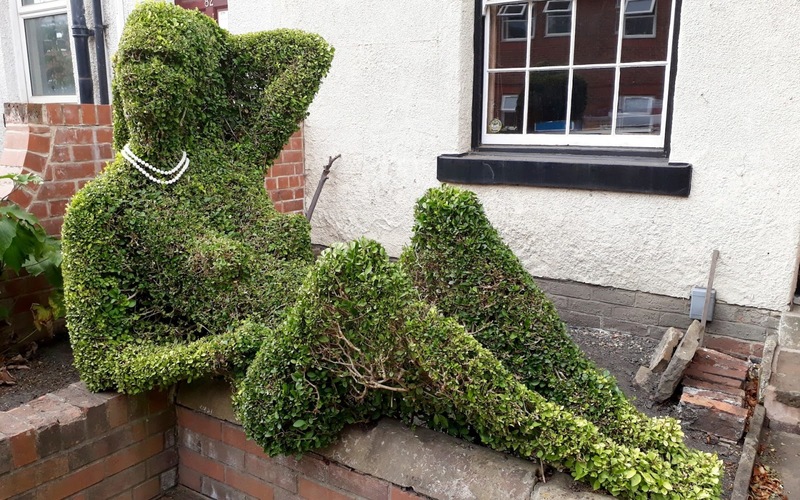 The puppet is used by Greenpeace to raise awareness of climate change and will be roaming around the gallery for five weeks on Thursdays, Saturdays and Sundays from Thursday 26th July. 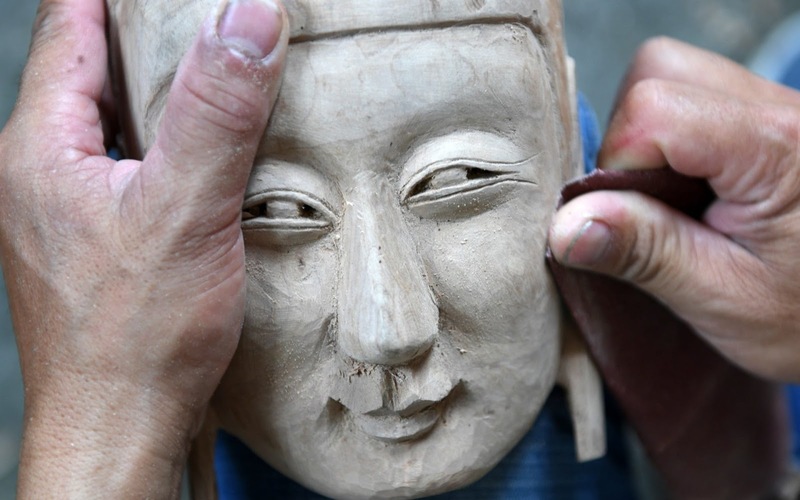 Fang Wenzhan makes a Maonan Nuo mask in Huanjiang Maonan Autonomous County, south China's Guangxi Zhuang Autonomous Region. The masks consist of four categories and 72 types of faces based on different characters. Fang Wenzhan is his family's fourth generation inheritor of the Maonan Nuo Mask making and an inheritor of Maonan Wood Carvingin heritage. 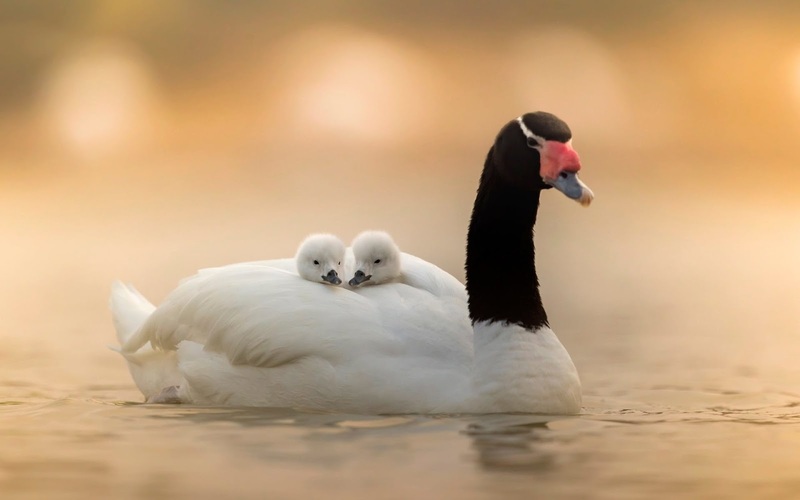 Two cute chicks take a luxurious ride on their mothers back. The Black-necked swan chicks sit back and enjoy the lovely view as they stay warm under the wing of adult. The cute scene was captured by photographer Shafi Rasheed, 42, at the Al Qudra lakes, Dubai. 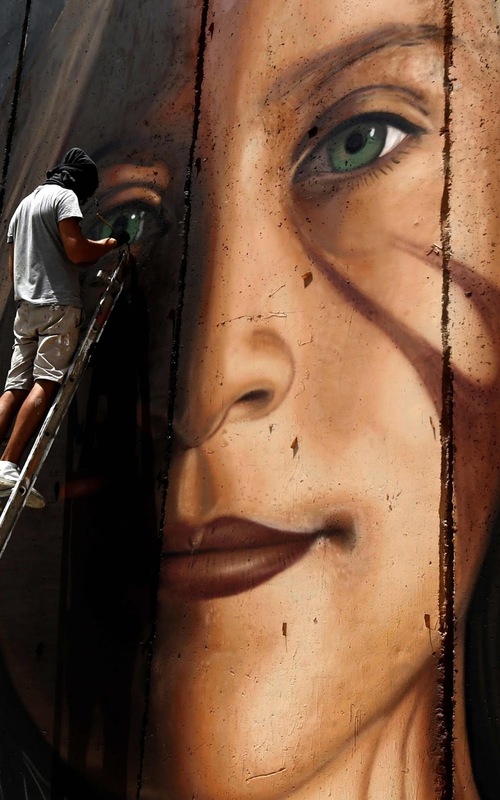 Italian artist Jorit Agoch paints a mural depicting jailed Palestinian teenager Ahed Tamimi on Israel's controversial separation barrier in the West Bank city of Bethlehem. Tamimi, was charged earlier this year after a viral video showed her hitting two soldiers in the occupied West Bank. Endangered tiger cubs make their first appearance at ZSL Whipsnade Zoo. Ahead of World Tiger Day Four endangered Amur tiger cubs have taken their first steps outside. 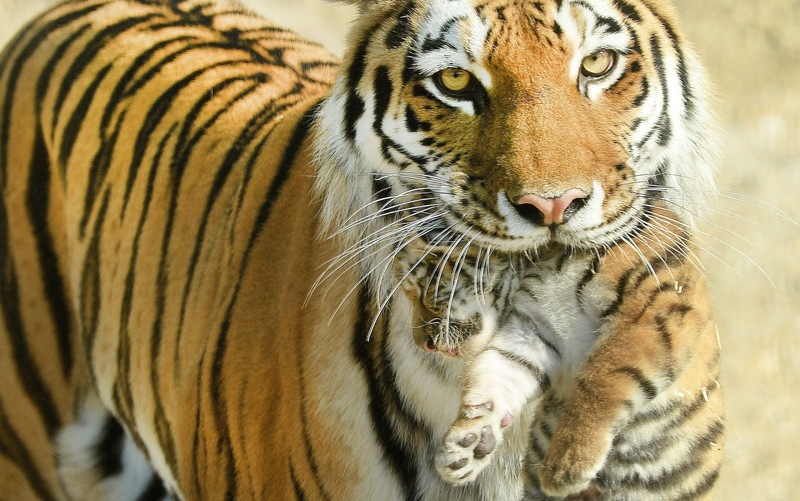 The Amur tiger cubs, who were born four weeks ago in a den in the middle of the Zoo’s large tiger enclosure, were finally snapped stepping out as a family after mum Naya spent several days carrying them around in her mouth, one-by-one, to help them discover their surroundings.